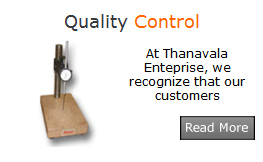 At Thanavala Enteprise, we recognize that our customers expect excellent quality along with our competitive pricing, superior customer service and best in industry delivery times. We approach product quality as one of our core competencies and therefore are always focused on "What can we do better?" We are constantly improving our inspection and measurement techniques. But even more importantly, we strive for rapid feedback between the quality assurance and production departments. Rapid exchange of information (positive or negative) between quality assurance and production results in higher quality and a better overall understanding of expectations. 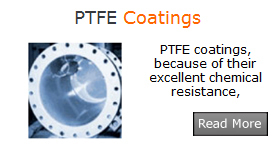 We train our inspectors to know coating systems first. They then use the knowledge to assure that you receive the highest possible quality for your product. equipment, most of which is adaptable to any assignment. If your job requires specialized testing, we will be happy to work with you to get that inspection in place before starting the assignment. We pay special attention to packaging! 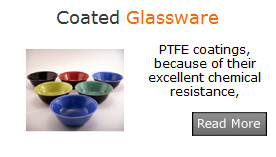 Some fluoroploymer coatings are easily damaged if not handled properly and require special attention when packaging. Our quality assurance inspectors are not only responsible for the applied coating, but also the final packaging. This provides our customers with an additional level of security that many other companies simply fail to provide.